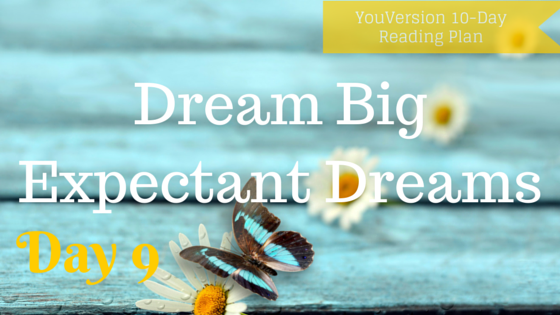 Bible Readings for Day 9: Dream Big Expectant Dreams–Genesis 18:14; Amos 7:14-15; Matthew 14:15-16; Mark 9:22-23; Ephesians 2:10. Along this journey of seeking what it looks like to love God with my entire mind, there is one lesson I need continuously drilled into my hard head. As you read through the lesson today, please know that both the subject and the pointed presentation are directed at myself before anyone else. I need it this way. I wonder if you need it this way too. Stop thinking so small! Stop talking yourself out of believing that God can accomplish the miraculous using your life. Take back the promises and methods of God you have rejected because you thought they couldn’t possibly be meant for you. Take them back by letting go! God does not call us to small thinking. Small thinking results from a lack of exposure to the Word and a lack of ownership of the Word. Today, let the Word of God speak possibility and limitlessness over you. Maybe you have never given God the opportunity to dream with your life. Maybe you are afraid to take that next step for fear you will be disappointed. Maybe you feel insignificant, convinced small is just your size. Leave it behind. Small thinking limits who we become and what we are able to accomplish in the Lord. The enemy knows this. He is constantly filling our minds with thoughts and ideas contrary to the Word, and even though they are opposed to the Word of God, these thoughts can make sense to me. They confine possibilities to what I can see. They confirm my own beliefs about my weaknesses. They keep me from loving the Lord with all my mind and restrain me from taking that next step of faith. Sweet friend, it’s time for you and me to let go of small thinking. 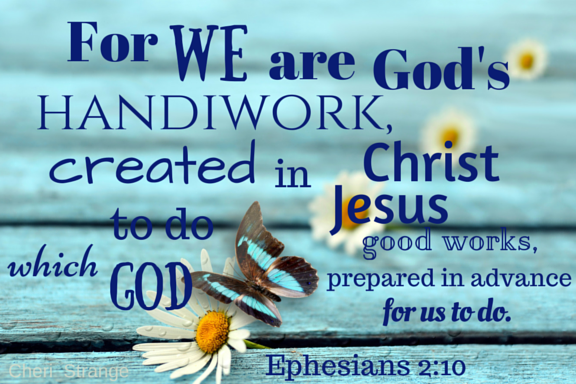 God calls His people to tasks and opportunities greater than we can imagine. Ponder the possible ramifications found in your reading today on your own life. There is work to be done. Someone with just your personality, with your gifting, in your situation is exactly who God needs to accomplish His will (Ephesians 2:10). Anything He asks you to do is important, purposeful, and significant. Dream Big Expectant Dreams from Cheri Strange on Vimeo. 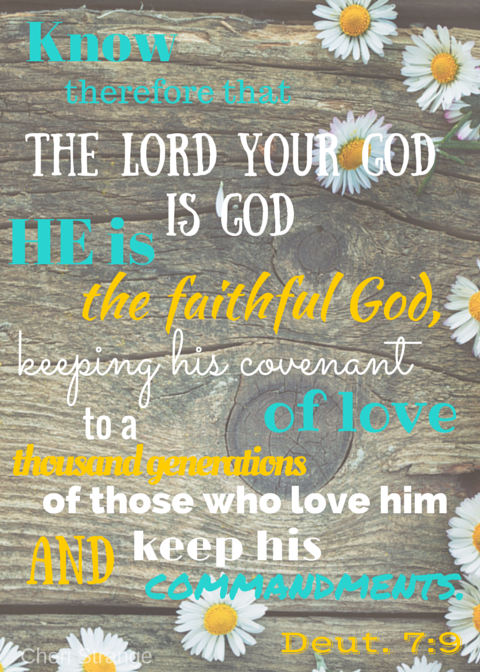 Click here to download this FREE printable! My husband loves a home-cooked meal, like chicken potpie and my Ultimate Chocolate Cake, or roast and potatoes with carrot cake made from scratch. I don’t understand it, but when I make a scrumptious dinner, the man feels loved, so I cook often. Cooking is not a chore because I love him and I know it communicates my devotion to him. I, on the other hand, enjoy drinking a Coke, especially when I’m writing—and Chad knows this. My hunk of a man strolls casually into my office with my favorite: a large half Diet Coke, half regular Coke—perfectly blended. (He has practiced it.) This surprise gift never gets old. He captures my heart all over again. Every time. More than that you learn do’s and don’ts for loving God with all your heart, mind, soul, and strength, I pray He will woo you closer to himself. As you spend time together, let Him speak love into your life in ways that are precious to you. Time and time again, the Lord will surprise me with words and tokens of love, similar to the exchanges I just described between Chad and me. I was looking through a set of old sermons written by my favorite preacher, Charles Spurgeon, when a title—“He Loved Us First”—caught my attention because it was based on 1 John 4:19. When I turned to that sermon, guess what I discovered? Spurgeon preached it in 1883 on my birth date! I was moved to tears. I know that’s quirky. You might not care anything about old books and has-been preachers. But this was on my birth date, by my favorite preacher, exactly the perfect sermon. In essence, this was God’s way of bringing me a Coke. Not only does He totally dig me and all my weirdness, I think He was so delighted that I was seeking more understanding of His love that He gave me something meaningful that communicated specifically to me. He woos us to himself; and grants us a supernatural capacity to love Him in return. If you are thinking, I want that, keep reading. The King has been waiting for you. If you are thinking, That is exactly what I have, keep reading. The King has something special waiting for you. If you are thinking, I had that once, but I don’t anymore, keep reading. The King has been expectantly awaiting your return. 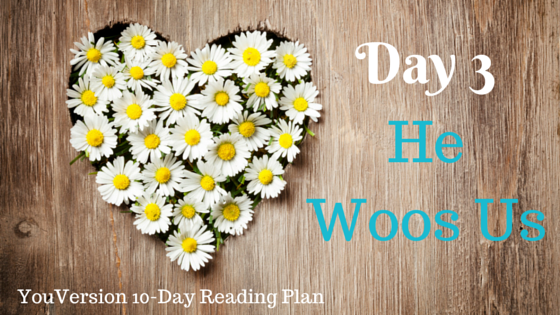 Day 3 – He Woos Us from Cheri Strange on Vimeo. Like many of you, I have read these words that make up the Greatest Commandment many times. I know loving God is supposed to be the most important priority of my life. 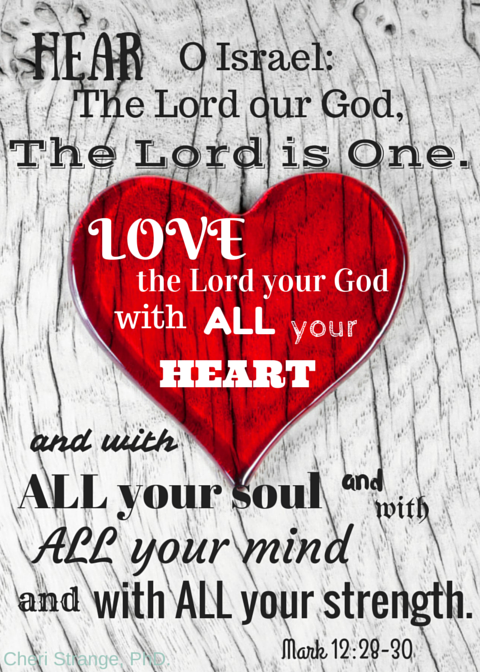 The instruction to love God with all my heart, soul, mind, and strength has been drilled into me since I was a preacher’s kid (literally living on the church property). But this seemingly straightforward admonition always seemed too hard and out of reach for someone like me. That kind of relationship was for someone else—like Billy Graham, selfless missionaries, or gifted pastors. Surely it would be enough for me to demonstrate my love by being a good Christian girl, trying to do all the right things a preacher’s kid should do, and having a spotty relationship with Him like most other regular people. The problem with my logic is that it doesn’t line up with the words of Jesus. According to Him, this is the big one of the top ten rules. NOT loving Him with all is breaking a commandment. Not loving Him wholeheartedly is a sin. Somehow I had categorized His words as a suggestion for the supergodly. Lacking that level of godliness left me off the hook, safe in my tiny world of halfhearted mediocrity. Of course, I was wrong. Offering God anything less than my all is equivalent to murder, adultery, stealing, and idolatry. What you have in these pages is my attempt to pass along what this halfhearted, small-thinking Jesus girl is learning. Think about the other two verses in your reading today: Deuteronomy 4:29 and 2 Chronicles 16:9. These two verses set in motion my own journey toward wholehearted pursuit. 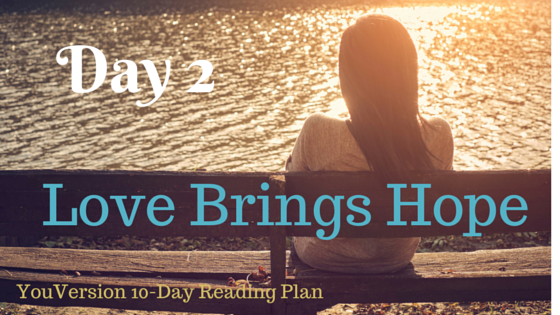 How do they encourage you? Love Brings Hope from Cheri Strange on Vimeo.